Jonathan Laabs has been an active conductor, clinician, professional singer, and music educator since 2008. He currently holds a position as Professor of Music at Martin Luther College in New Ulm, MN, where he conducts the College Chorale and teaches courses in conducting, choral literature, and aural theory. Since 2011, he has served as artistic director and conductor of Canticum Novum: A WELS Chamber Choir, a midwest-based, semi-professional ensemble, centered around an annual intensive week-long retreat. As a guest conductor and clinician, Mr. Laabs has twice conducted (2014, 2017) the National High School Honors Choir at the WELS National Conference of Worship and the Arts held at Carthage College in Kenosha, WI. 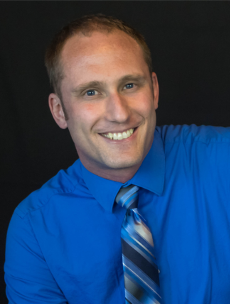 He earned a Masters of Music in choral conducting from the University of Wisconsin-Milwaukee, where he studied conducting with Dr. Zachary Durlam, conducted the University Chamber Choir, and served as a teaching assistant in the choral area. Also an active baritone soloist, Mr. Laabs has performed throughout the Midwest and beyond. Solo appearances include Handel’s Israel in Egypt and Bach’s St. Matthew Passion with the Bel Canto Chorus of Milwaukee and the Milwaukee Chamber Orchestra, an international tour to Argentina and Uruguay of Mozart’s Requiem and Faure’s Requiem with Bel Canto International and the Texas Choral Consort, Mendelssohn’s Elijah and Vaughan Williams’ Five Mystical Songs with the Falls Baptist College Orchestra and Chorus, and Brahms’ Ein Deutsches Requiem with the Martin Luther College Choir and Orchestra.